Is the Government going to introduce an affordable housing scheme? There are reports they will do so. One of the problems is how do we define affordability? 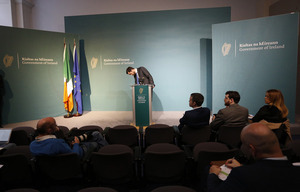 Deputy Eoin Ó Broin’s criticism of the Taoiseach’s reference to €310,000 as being affordable was correct. But with new accommodation units in Dublin exceeding €400,000, how can we afford ‘affordable’ homes without massive producer or consumer subsidies which rarely have the desired effect and can lead to ever spiraling prices? There’s a legitimate desire to own a home (the security, the autonomy), even as the prospect is further away for a growing segments of the population. Is there a progressive way to promote home ownership alongside affordable rental and social models? Yes, if we do it in a non-speculative way. Limited equity housing allows more people to ‘own’ their home without turning the house into a speculative asset. It is similar to the Nevin Economic Research Institute’s cost-rental model, except that equity is purchased. Sarah buys a limited equity house. She pays 50 percent of the price of the house through a mortgage (or cash). She also makes a second payment – which covers the capital costs of the other 50 percent which is held by a public housing association or other public body. In all respects, Sarah is the owner. She is responsible for the payments, property tax, repairs, maintenance, etc. She can undertake any improvements she wants (within planning rules), just like a home-owner. The first difference is this: she cannot rent it out it out to a third party. She cannot use the house as a revenue-generating asset. The second difference: if she wants to sell it she can only sell it back to the housing association. She will get her equity back plus any costs that improve the value of the house (an attic conversion, etc.). In other words, she cannot ‘play the market’ when selling her house. However, there are provisions, as Michelle Norris (Head of the school of Social Policy, Social Work and Social Justice at UCD) points out, where Sarah could sell on to a third party – but under the same restrictions. In effect, a house becomes an item of consumption (that is, it is used as a home); it is not allowed to be an asset to be speculated on. Another important point is that the house be procured by the public housing association or other public body. This keeps prices low as the Minister recently told the Dáil. The all-in costs include normal site works and site development, land cost, professional fees, utility connections, site investigations/surveys, archaeology where appropriate, VAT and contribution to public art. It is probably the case – though it’s not stated in the Parliamentary reply – that Dublin prices will be higher, with the rest of the country lower. Therefore, if the state makes a capital grant of 25 percent towards the building cost, Sarah may find that her mortgage (after a 10 percent deposit) is less than €65,000. Once Sarah pays off her mortgage, she continues with her second payment. If she sells, she gets back her equity payments (inflation-indexed) and the cost of any improvements. This is a simplistic summary and, no doubt, there are other considerations (e.g. a small insurance payment for payment defaults). But this makes home-ownership feasible, reducing the amount of savings needed to take out a mortgage, and the monthly payments. In effect, this complements NERI’s cost-rental with a cost-purchase home ownership model. This is not intended to replace traditional home-purchases. However, it is intended to provide another model for housing, another choice – as part of a drive to create a systemic pluralist housing system. It is also intended to provide more social or non-profit, non-speculative models. This plurality can help make the entire system more efficient and affordable. 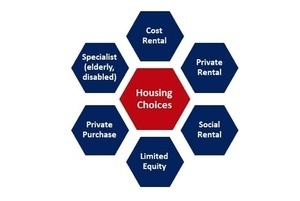 For instance, under NERI’s cost-rental model, it would not be necessary to replace private rental. However, a few thousand units in Dublin would help drive up the vacancy rate. When this happens, the upward pressures in the private rental sector would ease, rents would stabilise and hopefully fall in real terms in the years ahead. This same process would happen with more social housing– transferring tenants from the private sector to the social sector, thus driving up the vacancy rate. A similar process could develop with the home purchase market if a limited equity was rolled out. If one insists on seeing this in market terms, then what we need is greater competition with the state stepping in to provide that competition. If cost-rental and cost-purchase took off, private providers would have to up their game – in terms of quality, tenant security and affordability. All it takes is for policy-makers to break from their ‘residual sector’ mind-set – whereby social housing is for the poor while it is the private sector (with a little/lot of help from state subsidies), and only the private sector, that must cater for everyone else. Once we do that, we can have a plurality of innovative housing models to cater for people’s needs in their different life-cycles. But until that break is made, we will be swimming in targets and reports and self-congratulating Ministerial statements; but not affordable housing. 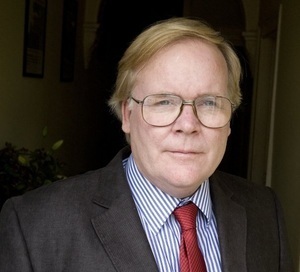 Michael Taft is economic analyst and author of the political economy blog, Notes on the Front. Posted in Misc and tagged Michael Taft, taft on tuesday at 9:30 am on January 16, 2018 by Michael Taft. Really like this idea. Has it been implemented anywhere else before does anyone know? I also think this is a key point…choice in the property market would be a great thing. For instance the ban on bedsits could impact on those who are trying to save for a mortgage and are willing to make the sacrifices required to live in a bedsit to help get a deposit for a house together. Obviously bedsits aren’t for everyone, but why deny the choice to people? The bedsit ban is one of the worst things. I have friends who would love to have a bedsit, instead they’re renting rooms in house’s with 5 or 6 different people. Aaaa – – traditionally, limited equity housing is usually a type of co-operative housing. These exist in the US and the UK (and possibly other countries). However, these models are very malleable and can be used as part of the broad public sector (e.g. a public housing association which are common on the continent) or a public enterprise body as per NERI’s cost-rental model for the rental sector. The point is to take advantage of the low construction costs as shown in the graph above when houses are publicly procured. 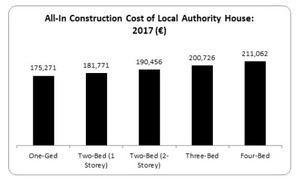 One question I had regarding the ‘All in Cost of Construction of a Local Authority House’ chart: how have the LA accounted for the cost of the land of the sites? I was under the assumption that most LAs had the land already in their possession and that they haven’t acquired private land over the last number of years. Also I think the cost of construction in Dublin would be significantly higher which would mean the caveat that accompanies the €65k mortgage example you gave is probably relevant, especially with the €310k ‘affordable’ figure quoted from Varadkar earlier in the article. As far as I can see LA houses in Dublin accounted for roughly 1/3 of the total (source: http://www.housing.gov.ie/sites/default/files/attachments/1b1-la-bld-by-area_10.xlsx), so if the Cost of Construction chart given is a nationwide average, it could be skewed significantly from the actual cost of housing near the capital, as you point out in the article in fairness. According to SCSI, a 70sqm 2-story house in ‘Dublin’ has a rebuild cost of 139K but in the ‘North West Area’ would be only 91K. Note: this is insurance so includes the demolition cost too. That’s a handy calculator. For a 110m2 3 bed terrace house (the smallest 3 bed as per the scheme that Varadkar was referring to with the €315k comment – http://www.hansfieldwood.ie/siteplan.html) that calculator says the cost is €208,670.00. While this includes demolition costs, it doesn’t take into account the price of land, the largest cost of building a house I believe. I like this idea also, will the gov like it though? One question: What is the second payment? and how is it calculated? What sort of payments does Sarah make on this? Is it effectively a long term ‘interest only’ loan? So would be €200/month, forever? Cian – yes, this would be a permanent payment (though provision to buy out the remainder could be introduced after lengthy tenure, so as to avoid costs in retirement). There are different ways to calculate the 2nd half, depending on how the agency wants to pay off (I would suggest long-term). Like all these cos-based models, it takes time for the managing agency to grow assets. On many continental countries, these types of models have been in existence for decades and have been paid off a long time ago. your model/proposal is silent or you refuse address non-pmt on either the first or second (assuming its secured),the borrower profile would be at the higher end off default risk. So in 20 years time, Sarah has paid off her mortgage and now owns 37% of the house. And the State has ‘lost’ 25% – who ‘owns’ this bit? the State, the Agency, or Sarah? If she wants to buy the remainder then she needs to get a second mortgage to cover the other 63%. And the value of the 63% will have been linked to inflation – rather than house prices? So after paying €375+200/month [mortgage + other half] she can now get a new mortgage to buy the remainder @~€700/month? (today’s money) over 20 years. If Sarah is 30 now; she’ll own 37% when she’s 50 and 100% when she’s 70! I’m really struggling to understand this. And in the end Sarah doesn’t own the house? Or in the end Sarah owns half of the house? Or in the end Sarah owns 38% of the house (her share of the original price)? Who owns how much of the house the day after Sarah “buys” it? And who is going to provide the mortgage? A commercial Bank wouldn’t provide a mortgage secured on an asset they can’t enforce on. So if it’s the LA/Housing Authority providing the mortgage what’s the point of this? They’ll be funding 96% of the cash costs initially so why not just fund the 100% and rent it to Sarah? if Sarah,god forbid falls behind in her mortgage pmt’s does the state step in and make them ? This is a great idea. Not much hope of FG bringing it in though, as it could only help deflate the property market. Excellent stuff from Michael again. I was looking at a co op apartment at one stage. I was told the bank wouldn’t give me a mortgage for it. It was 50% owned by the co-op. I was also told it was somewhere I wouldn’t want to live, due to undesirables. There’s no integration in Dublin really. We’ve too many vested interests for this to happen IMO. Too many TDs who are landlords for one. 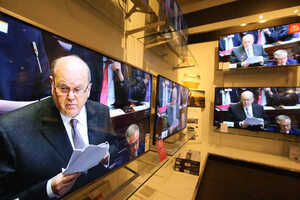 Landlord associations have the ear of our politicians. Just because a TD is a landlord doesn’t mean that she won’t do the “right thing”. As well as being a landlord he may be a father/brother/uncle/friend to people that can’t afford housing. To say nothing of her constituents – who may choose not to re-elect her if the prices/rents keep raising. It must just be a coincidence so that they haven’t done the ‘right thing’ so far. I don’t want the wolves in charge of the hen house thank you very much. ‘They’ haven’t done the “right thing” in many, many different areas where there are no vested interests. ‘They’ are incompetent. From a quick Google about 20-25% of TDs are landlords. This mean (if my maths are right) that 75% are NOT landlords. So there are more not-landlords than landlords. the higher figure includes TDs that rent land to farm, and TDs that own properties abroad. your maths would be fine, if you’re getting correct information. most of them didn’t bother their hoop declaring their interests up to recently. So do you have more up-to-date data? Ask Johnny there will ya. I don’t know what you googled. Either way 25% is 25% too many. Wha’? Are you against landlords in general? or TDs being landlords? Both evoke the same feeling I have toward any type of parasite. Cian was looking for that, not me..
read it before, probably when half of them weren’t bothered filling it in. spouses still exempt from declaring interests ? This has been happening up north for quite a long time. I know of several people who have availed of such schemes. If the will was there but not much hope of that when the mantra is ‘the market” and outsourcing of public services leads to the shambles like Carillion in Britain. If I’m not wrong, there was co-operative housing in Dublin in the 1930s – I think the houses on Larkfield Grove in Dublin were built like that, and maybe also some in Sutton?